We’re back, and we’re watching each other from the corners of our eyes. Paul is hiding something behind his back, Matt keeps glancing at the door, and I’m trying to look nonchalant. It’s only a matter of time until one of us tips his hand. 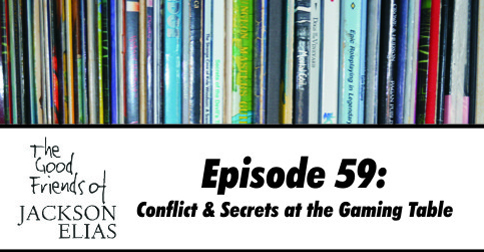 All of this is a needlessly wordy way of saying that we’re talking about secrets conflict at the gaming table, and whether these are good things (we know the answer, but we’re keeping it to ourselves). 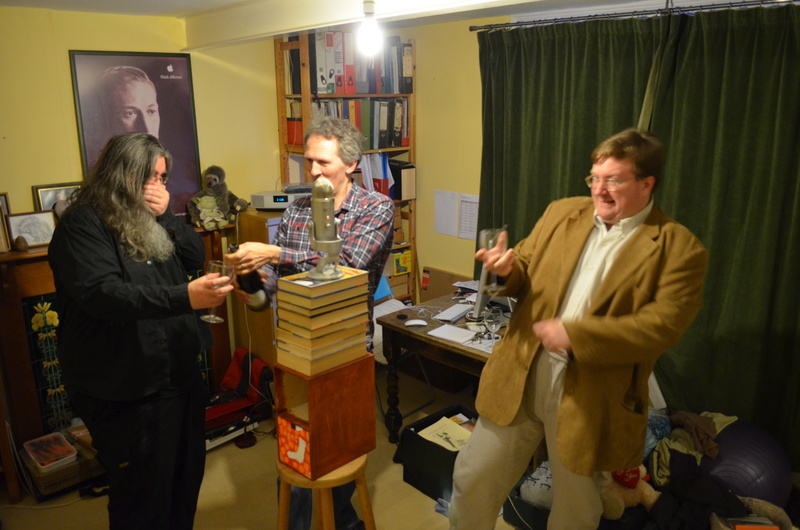 As Matt learned to his cost, Paul’s weapon of choice isn’t a knife in the back, but a champagne cork in the face. Many groups avoid conflict between characters, but we thrive on it, and not just when we’re recording. Maybe we’re just untrustworthy people by nature. This episode is our attempt to demonstrate how lies, betrayal and backstabbing can be fun. Trust us. Would we lie to you? Hey Guys, I’ve only recently discovered your podcast and have since been binging back-episodes. One of my favourites so far was the Top 3 Call of Cthulhu spells one. Have you considered doing any more Top 3’s? Perhaps favourite monsters, deities, scenarios/campaigns/supplements? Cheers, and keep up the good work! Thanks, Danial! We really should do some more of those. I especially like the top three monsters idea. I’ll have a chat about it with the others when we meet tonight.